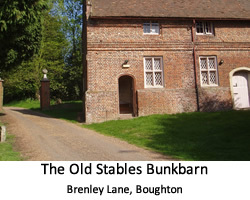 The Old Stables, near Faversham is a converted Georgian Barn providing heated hostel-style accommodation. It is popular with friends wishing to have a relaxing weekend together, away from the city, visiting sports teams, schools and colleges, large dinner parties and much more. The barn has plenty of hot showers and a well-equipped kitchen/dining room. 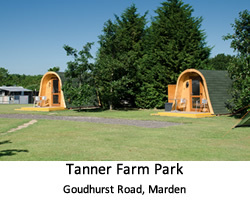 Tanner Farm in Marden is a peaceful site surrounded by arable farmland and young orchards. 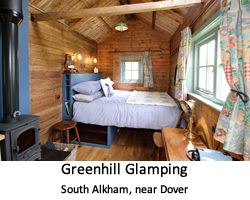 It is affiliated to the Caravan Club and provides electric hook ups and two ‘camping pods’ for hire to those not quite ready to leave it all behind!